Hey everyone! This is my second post. Here is my FIRST post. 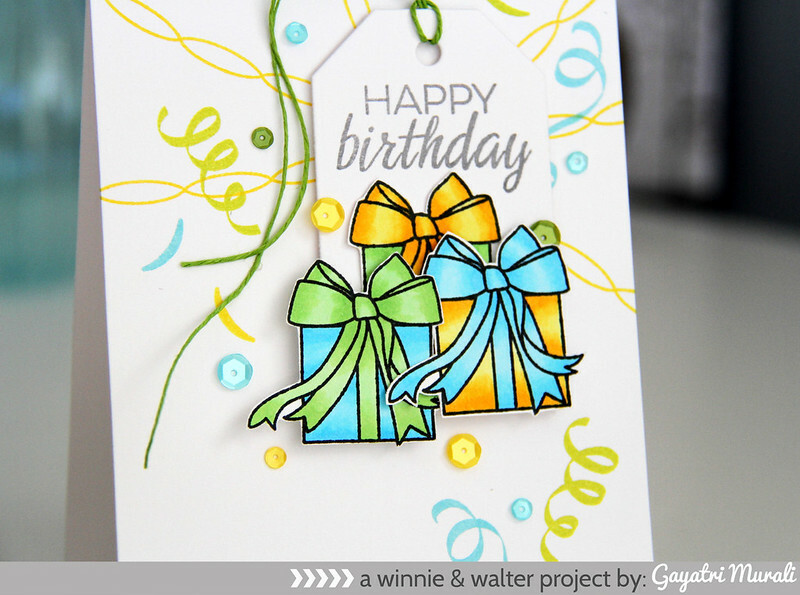 Welcome to day #4 of Winnie & Walter’s 1st Birthday new release. I have used the The Party Hangover and The Party stamp set to make my card. I wanted to make a really colourful birthday card. So I stamped the streamers from The Party Hangover in yellow pigment ink. 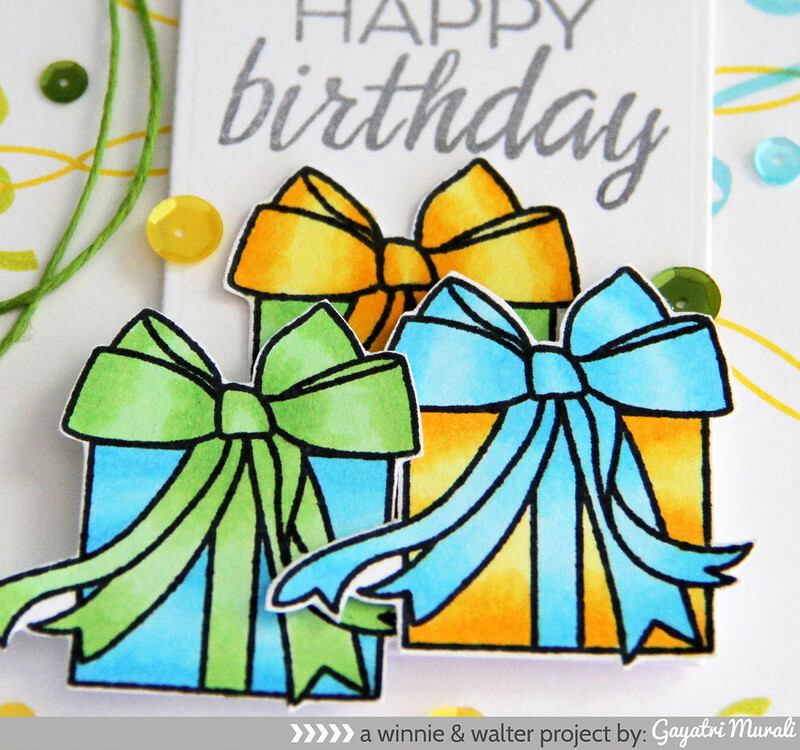 Then the ribbons from The Party stamp set in blue, green and yellow pigment ink to create the background. Then stamped, coloured and cut the present boxes. I layered the boxes on a tag. I also stamped the sentiment on the tag. I have used green twine on my tag. I love how colourful the card turned out. I added some beautiful 4mm and 6mm Mossy Green, Aquamarine and Lemon Drops sequins from Pretty Pink Posh. I am sure these stamp set and cutaways are on your wishlist already. You can win these if you leave a comment on Winnie & Walter Blog. These new goodies are available for purchase tomorrow. 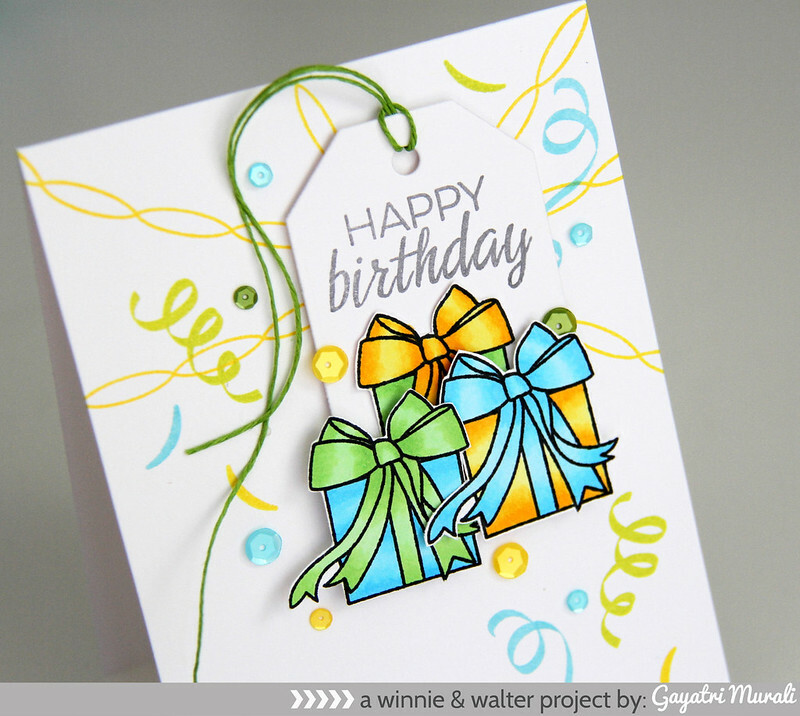 Check out Winnie & Walter blog for gorgeous projects from Shay, Julie, guest designers and design team members. I will see you tomorrow for the release with another card. 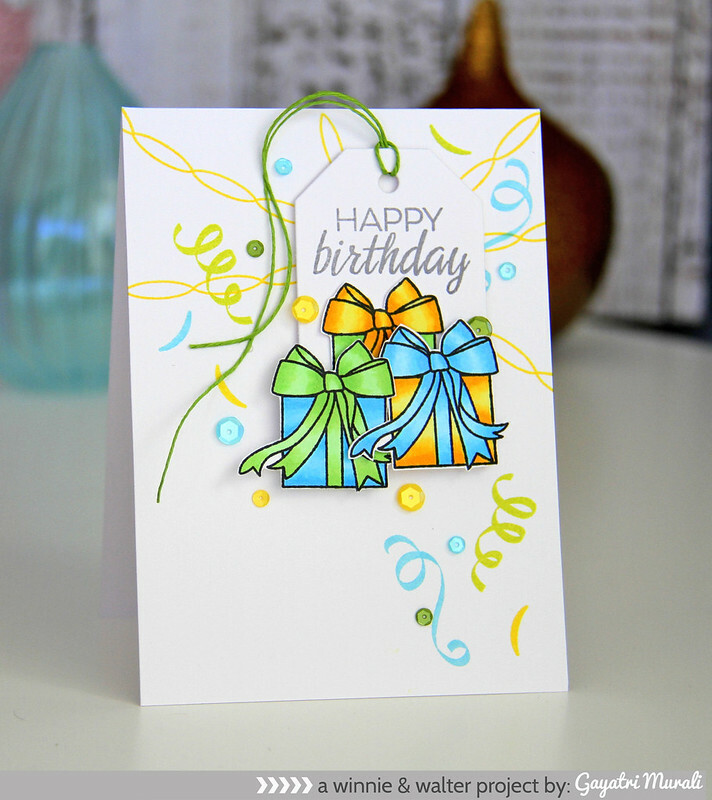 Wow, Gayatri, your tag card is absolutely gorgeous and fun! So loving the layout and colors, too! Beautiful card! Those presents are adorable! How pretty!! I love your festive design and those pretty colors! Wow aren't those streamers fun! Perfect stamp sets for Birthday I'll check them out!